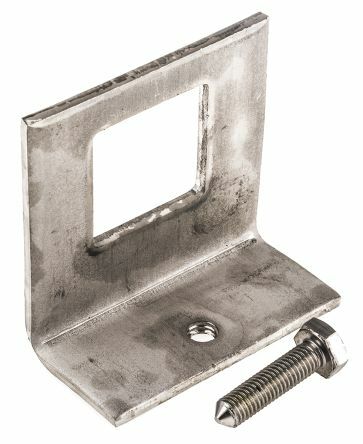 We carry a wide range of struts and brackets along with assorted accessories from trusted manufacturers including Unistrut, Yale and our own brand RS Pro. What is a channel support system? A channel support system is a series of struts that can be slotted into one another with a collection of easy to connect components, sometimes referred to as brackets which are designed to create a light structural system, with relative ease through the use of fittings and fixtures. Our channel support systems offer a wide range of support for any mechanical, engineering or industrial purpose when light structural support is needed, like with wiring or plumbing or for cable management such as creating a cable ladder system. Plain channels - smooth channels or struts, available in different depths, finishes and lengths. 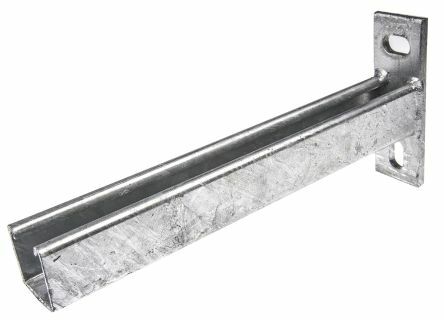 Slotted channels – have holes in different variations along the channel to allow mounting to structures and walls. 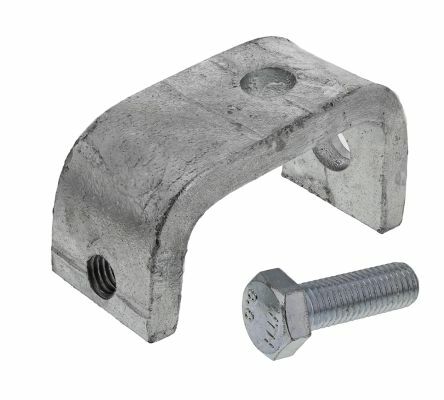 Channel nuts – available with or without springs, in various sizes and finishes. Cantilever arms – also known as cantilever brackets, provide a secure and reliable mounting method for struts. Suitable for 41mm channelMaximum load 250kgCone point screw included. Maximum load per clamp: 225kg. Cantilever 41x41 channel on a 45 x 135 base, with 2 fixing holes, 14 diameter on 90 centres. 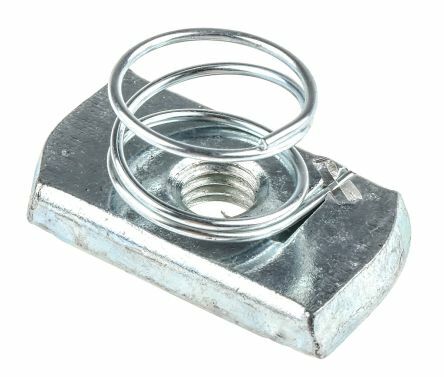 Spring zeb channel nuts, which incorporate a spring to aid positioning prior to assembly, available in either stainless or galvanised steel. Channel nut with springThreads on the nuts are metric.